Last week, former Lagos governor, Senator Bola Tinubu, added his voice to the litany of pleas from diverse stakeholders urging the Lagos State government to demolish structurally unfit buildings in Lagos State. This call came on the heels of the building collapse at Massey Street, Ita-faji, Lagos Island on Wednesday, March 13, 2019, which claimed the lives of numerous school children. Senator Tinubu specifically urged the Lagos State Government to ‘fast-track the demolitions’. I can bet that most of these calls, including Tinubu’s ‘fast-track’ entreaty, were made in good faith. As these calls for urgent action persist, this article invites a sector-wide introspection and re-appraisal of the Lagos State’s demolition practices to gauge their compliance with best practices and legal requirements. This sort of collective re-appraisal is necessary to ensure the public’s clamour for building control do not provide justification for the state to conduct mass demolitions and evictions in settlements predominantly inhabited by urban poor populations without recourse to statutory safeguards. To begin with, there is nothing wrong with demolishing structurally-defective buildings. In fact, Section 47 of theLagos State Urban and Regional Planning and Development Law (LSURPDL), 2010 (as amended) empowers the Lagos State Building Control Agency (LABSCA), to identify and remove distressed buildings to prevent collapse. The agency is statutorily mandated to work with other relevant agencies to achieve zero tolerance on illegal developments. That means taking down buildings that are structurally unsafe is not only legal, but also in the public interest to do so. An on-the-spot assessment of Massey Street in Ita-faji finds that many buildings in the area and many parts of Lagos Island are in very distressed conditions. Substantiated media reports corroborate that over 80 buildings in Lagos Island have already been marked for demolition. The casualty figures in the recent Massey Street building collapse make clear that the buildings in the locality, including those now marked for demolition, consist mainly of over-crowded apartments and lock-up shops, housing large numbers of households, businesses, and artisans who are predominantly poor. The population density in these neighborhoods is a telling sign of the impending homelessness of humanitarian proportions that would automatically flow from the scheduled demolitions. The massive dislocation of citizens, livelihoods and family ties that would ensue evinces that state agencies may not proceed with the demolitions as scheduled without appropriate engagement, human right safeguards and other necessary social welfare interventions. In other words, what is at stake at the moment is the imminence of housing deprivation, often involving the forcible displacement of thousands of urban poor populations. 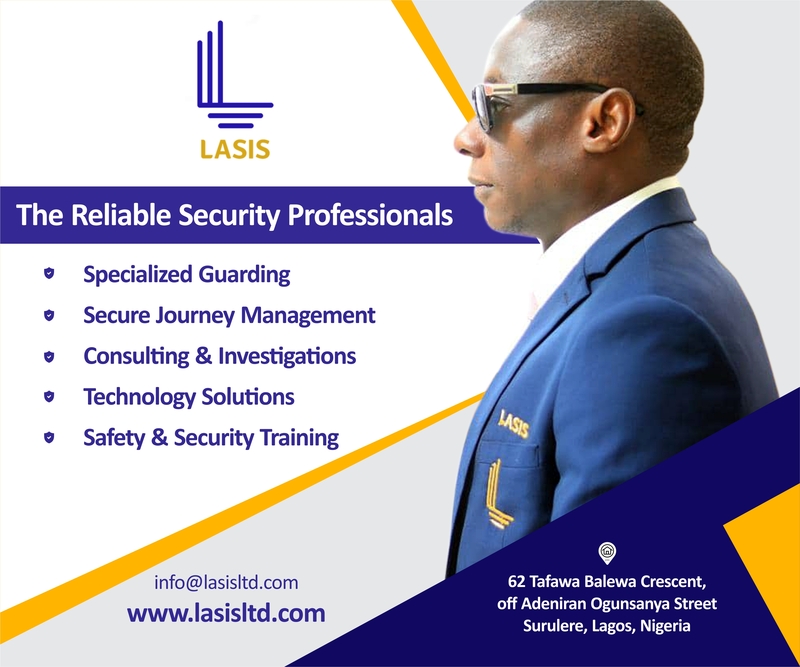 Are there other ways of achieving the same end—of building control and public safety in Lagos Island—less painfully? Is this even practicable or legal? An on-site assessment of the Ita-fajiarea shows that the entire locality is in dire need of urban regeneration and holistic infrastructure upgrading to improve the social, physical and economic environments. That 80 buildings in the area are marked for demolition lends credence to this observation. Lagos State’s major urban policy, specifically the LSURPDL, envisaged this kind of scenario and provided a ready-made answer for addressing situations where urban sprawl has made decent habitation difficult. The LSURPDL empowers the Lagos State Urban Renewal Agency (LASURA) to propose redevelopment or improvement plans for degraded communities likeIta-faji, for the purpose of rehabilitating, renovating, or upgrading the physical environment, social facilities and infrastructure of the area. Where such plans are approved, the Agency has powers to declare the entire locality an Improvement Area, and then follow a set of laid-down statutory safeguards in carrying out the redevelopment plans. Please note that the law requires LASURA to develop this plan first, map out the areas targeted for redevelopment, secure approval for the development plan, and take certain harm-mitigating measures, before engaging in any dislocation operations. Let me break it down: In exercising its urban renewal authority, LASURA is required to issue enforcement notices to owners of affected buildings, uphold the right to fair hearing in dealings with affected residents and conduct its redevelopment operations with a human face. It is constrained to give twenty-eight (28) days formal notice of intent; to receive and attend to complaints and appeals on its propositions which must be finally determined before proceeding with the improvement plan. Other safeguards include strict adherence to the stipulated form of notice, organizing adequate sensitization for affected residents, constituting committees to receive objections and determine complaints, while the affected residents have the right to appeal agency decisions and receive compensation in certain circumstances. Under Section 55 of the LSURPDL, LASURA has far-reaching powers to grant, guarantee and/or facilitate the grant of loans for housing renovations to affected property owners in line with area improvement plans.It is also vital forthe Agency to uphold the right to fair hearing in dealings with affected residents. The right to fairhearing, in particular, is a constitutionally-protected right that cannot be derogated from. As these legal provisions disclose, the Lagos State’s LSURPDL law tames the power of the state to demolish at will, as currently planned in the wake of the Ita-faji incident.The Lagos State law clearly outlines what state agencies are required to do in the present circumstances. Citizens, including residents of the area, need to know what the state’s redevelopment plans are and key into them. In sharp contrast to these legal requirements, Lagos Governor Ambode visited the scene of the Ita-faji building collapse last week, and instantly vowed to demolish all illegal school buildings in the area and some structures marked unfit in Smith, Palm Church and Adeniji Adele Streets. Calling for demolitions without safeguards is an invitation to anarchy. As previous demolition practices in the state clearly demonstrate, official adherence to statutory safeguards is uncommon. Mitigation measures—including compensation, resettlement, or provision of temporary shelter, and humanitarian assistance—aimed at lessening the deleterious impact of mass displacement on vulnerable groups such as women, aged, and young children, are rarely ever considered and adopted.Demolitions should only happen within the confines of the law. More tellingly, a recent report from Spaces for Change recounted that hurried demolitions of this kind usually pave the way for unrestrained land dispossessions and the gentrification of low-income neighborhoods. A comparative analysis of the official motives for conducting mass evictions in Maroko (now LekkiPenninsula) Badia-East (now Jubilee Estate), to Otodo-Gbame(now Periwinkle Residences) and the current use of the cleared lands revealed consistent patterns of land dispossession and city gentrification. In all three mass demolition experiences, luxury private estates notoriously sprouted on the dispossessed land shortly after the mass evictions, paving way for a more affluent neighbourhood to emerge and replace the former low-income settlements. The housing costs in the new neighbourhoods are characteristically prohibitive, and far beyond the reach of the old inhabitants, forcing them to either continue to live on the peripheries of their former abodes, or to relocate to other informal neighbourhoods. Inviting this collective introspection at this time is imperative for two reasons. First, the hasty recourse to demolition for every urban challenge in Lagos State needs serious reexamination. When flood engulfs the city due to blocked drainages, the state responds by ordering mass demolitions in the name of flood control. When fire razes any settlement, the state responds by ordering mass demolitions in the name of public safety. When traffic congestion cripples social and economic activities in any locality, the state responds by ordering mass demolitionsin the name of road rehabilitation. When robberies or violence erupts in any community, the state responds by ordering mass demolitions in the name of curbing insecurity. When area boys extort motorists, block roads and disrupt economic activity in any trading location, the state responds by ordering mass demolitions in the name of crime-fighting. When any building collapses as a result of poor regulatory oversight, the state responds by ordering mass demolitions in the name of urban renewal. This systematic adoption of demolition as an indispensable tool of urban regeneration has assumed very frightening dimensions. I think it’s time to have a rethink and consider new approaches. Secondly, there is evidence that state-ordered demolitions often target low-income neighbourhoods. Nearly all the mass demolitions in the state have occurred in the informal settlements, or neighbourhoods populated by low-income and extremely poor residents. In other words, no amount of flooding in the highbrow communities can ever result in state-ordered demolitions despite overwhelming evidence showing that affluent neighbourhoods in the Lekki and Ajah axis, for instance, experience flooding more frequently and with greater intensity. These two reasons explain why bringing own private buildings is not enough. Lagos State authorities should disclose in advance, its redevelopment plan for Ita-faji area and other affected districts in Lagos Island.That approach is necessary to ensure that current landholdings, tenancies, customary and statutory land tenures, plus other interests in land, enjoy adequate protections from powerful interests. In ending, its needs to be restated that this article is not averse to demolitions conducted in the public interest. It simply argues that should demolition become inevitable, there is need for safeguards. Ordering demolitions without social protections is undemocratic, unfair and unlawful. There is need to assess the structures across Lagos Island, enumerate the buildings and current inhabitants. There is need to enlighten residents on the structural defects, and assist vulnerable groups with state-run welfare schemes, including compensation, to facilitate their safe transition and relocation to safer neighbourhoods. Anything short of this is state-inflicted pain and mass suffering.